In the United States, SWF's founder, Dr. Nina Smart, educates students, service clubs, interested groups and immigrant communities about Female Genital Mutilation - FGM, its human rights violations and complexities. Presentations focus on raising awareness about the practice and ways to protect and assist those at risk. SWF seeks financial and intellectual contributions from private individuals, institutions and service organizations to support effective programs that fund education and human rights discussions in Sierra Leone. In Sierra Leone SWF supports the efforts of anti-FGM activists by financing educational programs that improve basic conditions of girls, boys and young women who are at risk of FGM. 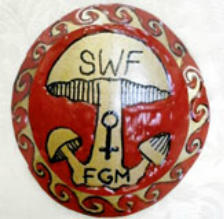 Including men and all members on the community in the process of eradicating FGM is central to SWF's efforts among nationals. SWF's expert on FGM in Sierra Leone offers free consultations to effective activists who engage in human rights work that aims to abolish FGM. SWF influences cooperation between secret society members, politicians and religious leaders.